Hone your skills to the next level. The CE Global Health Education Network, Inc. offers training programs that are just what you need to take your first step to land an excellent and rewarding healthcare career. We do not hold any bias towards or discriminate against any individual on the basis of race, sexuality, creed, or social status. Admission is open to all who wish to take part in any of our programs. We are an equal opportunity provider. 1. 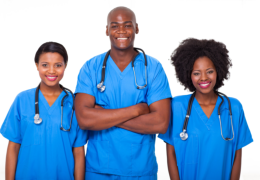 Nurse Aide Training Program(CNA) is a comprehensive course designed to teach students the skills and abilities essential to providing basic nursing care to patients and residents in hospitals and Long Term Care facilities such as nursing homes and assisted living facilities. Graduates of the CNA program in Dallas TX may find entry-level employment as a nurse aide with hospitals, nursing homes, home health agencies, private duty and assisted living facilities. This training service is provided by a licensed nurse and educator. This is a 4-5 weeks course. Minimum requirement for the course is 8th grade education. Students with no HSD or GED can take an aptitude test to qualify to take the class. CE Global Health Education Network, Inc. is required by TXDads to run a criminal background check on all. 2. Nurse Aide Refresher Course: CNA”s who have expired licenses who need to retake the NATCEP exam can take a refresher course and be scheduled provided they have a letter from the Texas Dads approving them to retest. CNAs may complete these courses in order to renew a listing of active status on the Nurse Aide Registry (NAR). 3. MEDICATION AIDE PROGRAM is a comprehensive course designed to teach students the skills and abilities essential to administering medications in long term care facilities. Based on their Nursing assisting skills, they learn additional skills for passing medications. Medication Aides can work in hospitals, nursing homes, assisted livings and group homes. This is an 8 week program. Responsibility, control, accountability, storage and safeguarding of medications. Lines of authority in the facility, including facility personnel who are immediate supervisors. 5. CPR certification is a compressive seminar course which incorporates the guidelines provided by American Heart Association (AHA) to provide basic life support. This certification is required for most healthcare workers with direct patient contact. This service is provided by an AHA certified Instructor. This is an 8 hour seminar. 6. Home Care Certification is a comprehensive course designed to teach students the skills and abilities essential to providing basic nursing care to clients in their homes. Graduates may find entry-level employment as home health aides with home health agencies. This training is provided by a licensed nurse and educator. This is 5-6 weeks course. For inquiries, questions, suggestions, and requests for more information, kindly contact us at 972-698-7792 or leave us a message online. 7. Pharmacy Technician Programs : Pharmacy technicians assist and support licensed pharmacists in providing health care and medications to patients. Pharmacy technicians must have a broad working knowledge of pharmacy practice, and be skilled in the techniques required to order, stock, package, and compound and otherwise prepare medications. Under the supervision of pharmacists, pharmacy technicians work in hospital pharmacies, community pharmacies, home health care pharmacies, long-term care pharmacies, clinic pharmacies, nuclear medicine pharmacies, health maintenance organization pharmacies, compounding pharmacies, veterinary pharmacies and in mail order prescription pharmacies. Pharmacy technicians sometimes assume responsibility in areas relating to technology and informatics in the pharmacy. In addition, some pharmacy technicians have been employed in non-traditional settings by medical insurance companies, managed care organizations, medical computer software companies, drug manufacturing companies, drug wholesale companies, food processing companies, and as instructors in pharmacy technician training programs. Length of program: 12 weeks. 8. Phlebotomy Technician : is an integral part of the medical laboratory team whose primary function is the collection of blood samples from patients by venipuncture or microtechniques. Phlebotomists are in demand for positions in laboratories, hospitals, clinics and physician offices. The phlebotomist facilitates the collection and transportation of laboratory specimens and is often the patient’s only contact with the medical laboratory. Drawing blood from patients or donors in hospitals, blood banks, clinics, doctor offices, laboratories or similar facility for medical purposes. Assembling equipment (such as needles, blood collection devices, gauze, tourniquet, cotton and alcohol · Verifying or recording identity of patient or donor. Conversing with patient to allay fear of procedure. Applying tourniquet to arm, locating a vein, swabbing area with disinfectant, and inserting needles into veins to draw blood into collection tube. (May also prick finger instead of inserting needle). Labeling and storing blood container for processing. Conducting interview, taking vital signs and testing blood samples to screen donors at a blood bank. Possess a high school diploma or GED/ College transcript or pass a Wonderlic aptitude test(Passing score of 20). Must pass a background or criminal check and a drug test. Length of program: 8 weeks. We have Day, evening and weekend classes. Tuition – $845.00(Includes textbooks and supplies).